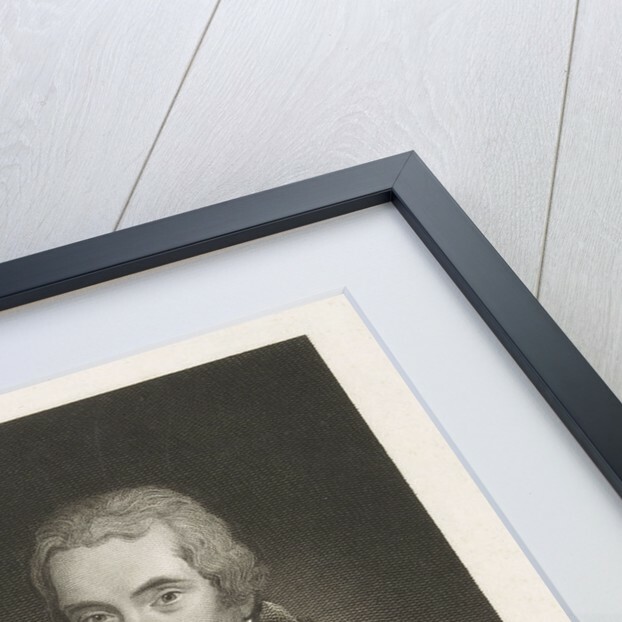 Product images of William Wilberforce Esq. 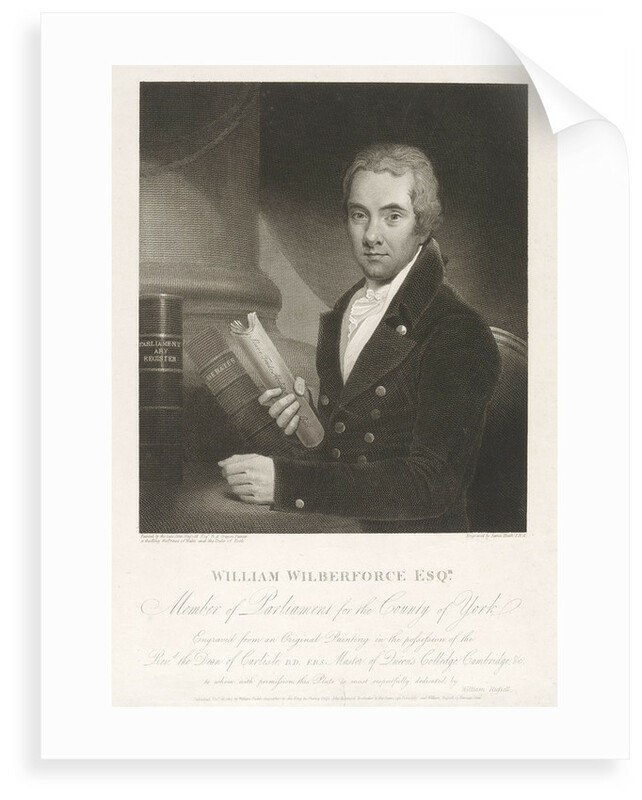 William Wilberforce was one of the best known campaigners against the slave trade. 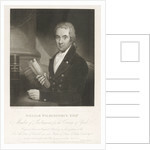 This print shows Wilberforce at work. 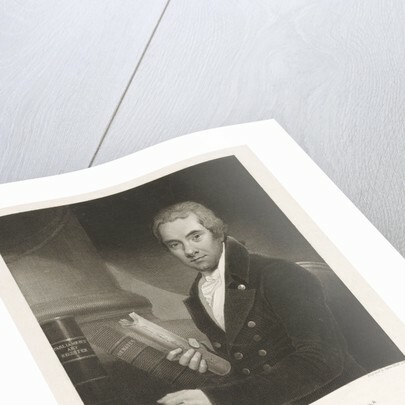 He is holding a copy of the abolition bill and nearby there are volumes of parliamentary papers. 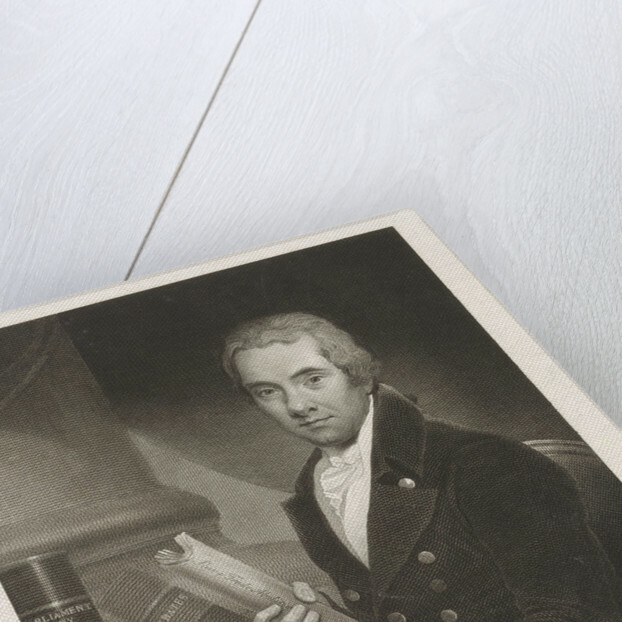 More by the artist James Heath.